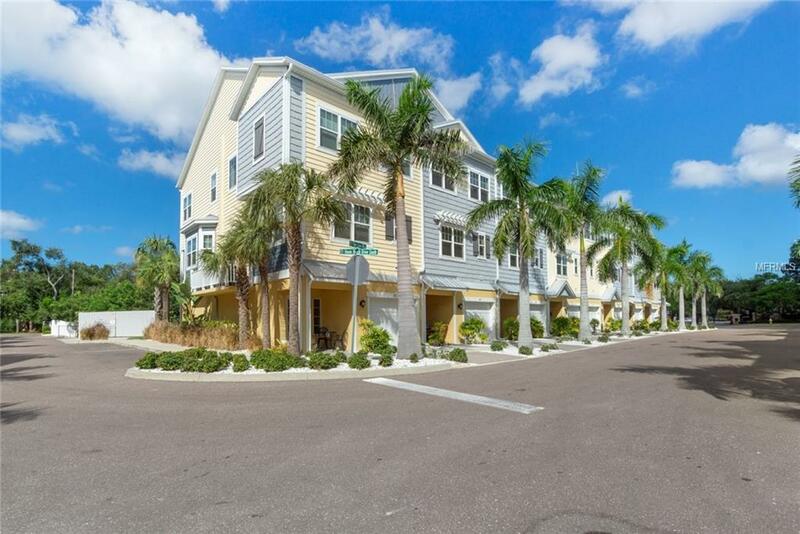 COASTAL living at its best is what you will find in this beautiful townhome located at The Cove in Indian Rocks Beach. The Cove is a SECURE GATED Waterfront Community offering 2 Boat Docks, heated Community Pool, Community grill with seating area for parties or just for everyday grilling. This luxury townhome built in 2015 is steps away from the white sandy beach. Whether you are looking for a primary residence, second home or income property this townhome offers resort like amenities. The 1935 square foot home offers 3 bedrooms 3 full bathrooms and a bonus room that can be used as an office, den, dining room, or even a fourth bedroom with its installed Murphy bed. Kitchen opens up to the family room that looks out to the screened in balcony where you can experience breathtaking sunsets from the privacy of your own home. The 10 foot ceilings have crown molding throughout the home. The kitchen has plenty of cabinet space, granite counters, stainless steel appliances and a large pantry. The king size master suite with sitting area is found on the third floor with a large walk-in closet, and a en-suite bathroom. Two more spacious bedrooms, a full bathroom with tub/shower and a large laundry room are also on the 3rd floor. Security system with keypads located in master and foyer can be used with or without an active monitoring company. Room for SUV and boat in the 2 car tandem garage. Take your own private elevator to all floors, also makes for easy delivery after shopping.